Armstrong leads the green agenda at its sixth Farnborough International Airshow. 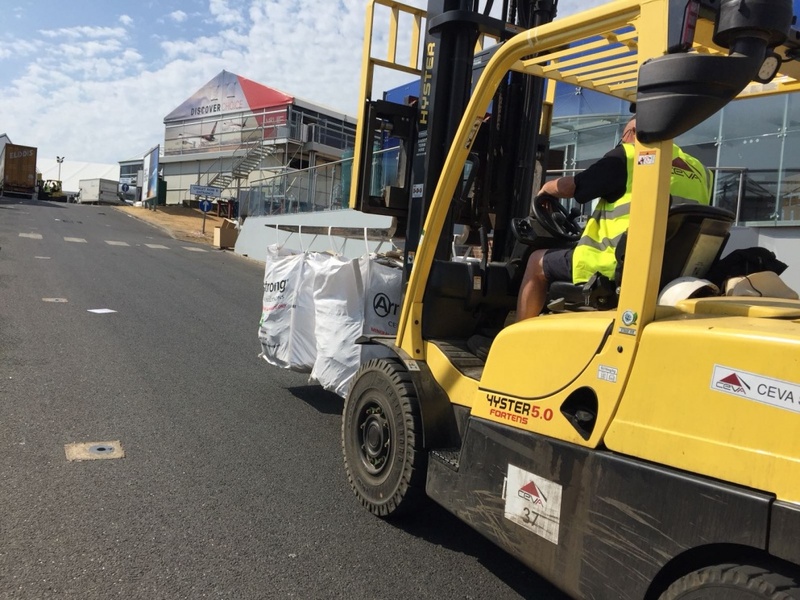 Armstrong Ceiling Solutions has recycled more than 10,000m2 of mineral tiles from this year’s Farnborough International Airshow, the sixth time the manufacturer has provided the recycling service at the bi-annual event. This is continual evidence of the manufacturer’s peerless green philosophy, with their pioneering recycling programme already having diverted over 15 million square metres globally of used ceiling tiles from landfill since its launch in 1999. 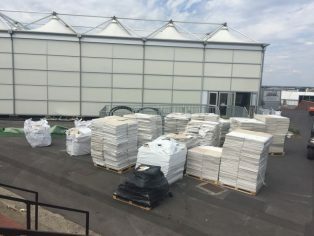 At Farnborough International Airshow, the ceilings are recycled from more than 200 temporary corporate hospitality and business chalets and exhibition halls. 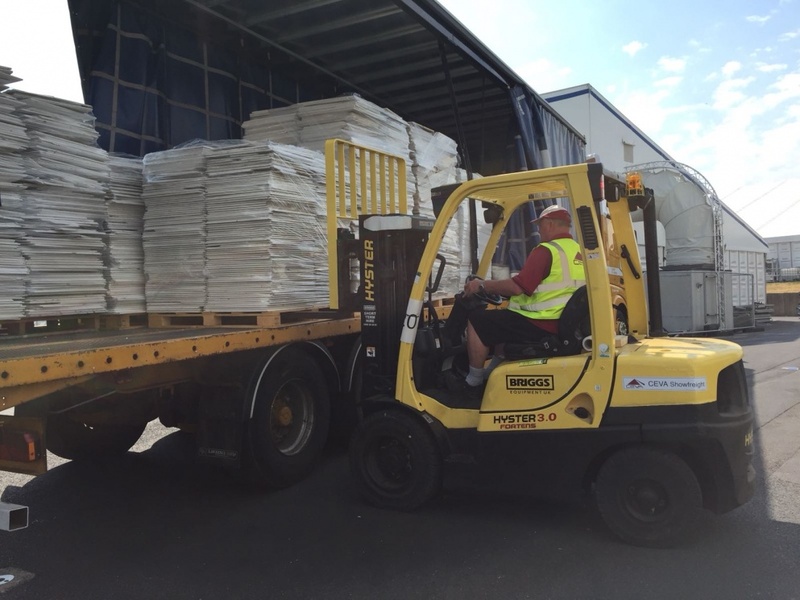 To date Armstrong has recycled over 60,000m² of mineral fibre ceiling tiles from the show site to its UK manufacturing site in Gateshead, Tyne and Wear. 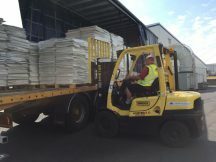 The tiles for recycling (Dune, Fine Fissured, Cortega and Mezzanine DL100 to name a few) were collected in bags and stored in the exhibition hall then returned on trucks to Armstrong’s production facility in Gateshead for recycling back into the mix with the help of the Southampton branch of specialist distributor SIG Interiors. The corporate hospitality and business chalets, which are used by such prestigious exhibitors as Lockheed Martin, Boeing and Rolls Royce, typically take five weeks to build and fit out and one week to dismantle. 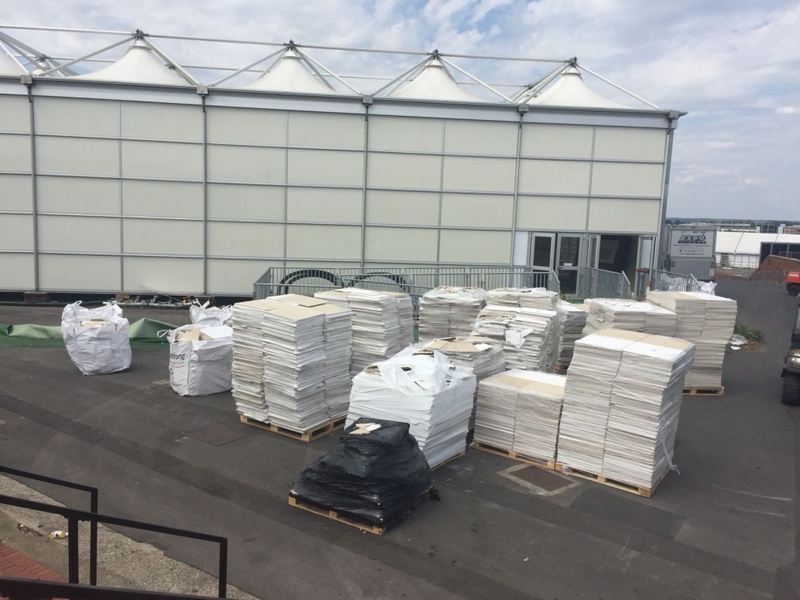 Protecting the planet is synonymous with good business for Armstrong which is why their full acoustical ceiling tile recycling service is offered to all projects during the demolition, construction and renovation stages, not just the Farnborough International Airshow. Since its launch in the UK the programme has evolved to include all mineral tiles, no minimum quantities, a growing network of “Green Omega” installers and partnerships with national distributors to further support customers’ local recycling requirements.